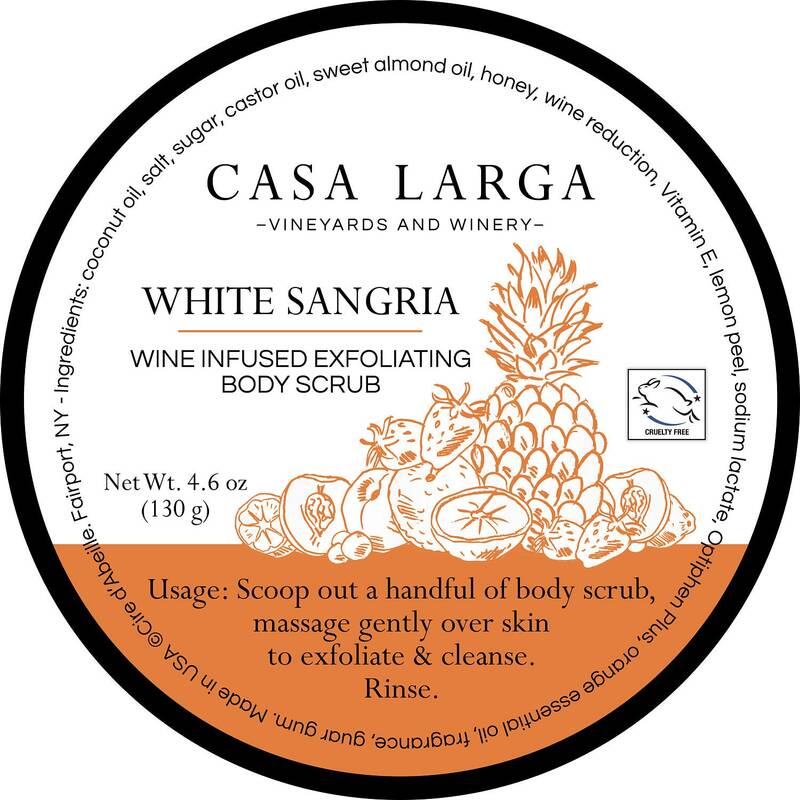 Casa Larga White Sangria Wine Infused Exfoliating Body Scrub by Cire d’Abeille™ Skin Care with aromas of sweet orange, peach, pineapple, lemon, lime, and apricot. 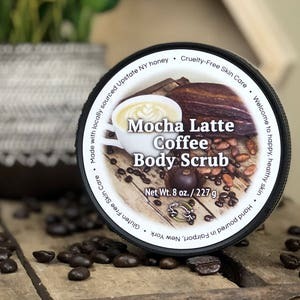 The perfect scrub for shower or bath. 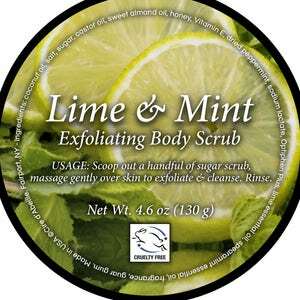 Our gently exfoliating sugar scrub smoothes skin while an aromatherapy blend of sweet orange essential oil and dried lemon peel uplift and brighten to benefit body, mind, and mood. Welcome to happy, healthy skin. 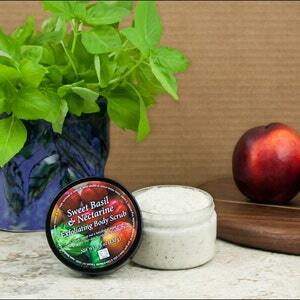 Gentle coconut cleansers leave the skin soft and silky smooth. Sweet orange is uplifting and stimulating and helps with sadness and moodiness; use to ease nervous tension and promote a happy mood. Sweet Orange essential oil has an intense juicy-fresh, zesty, citrus scent. 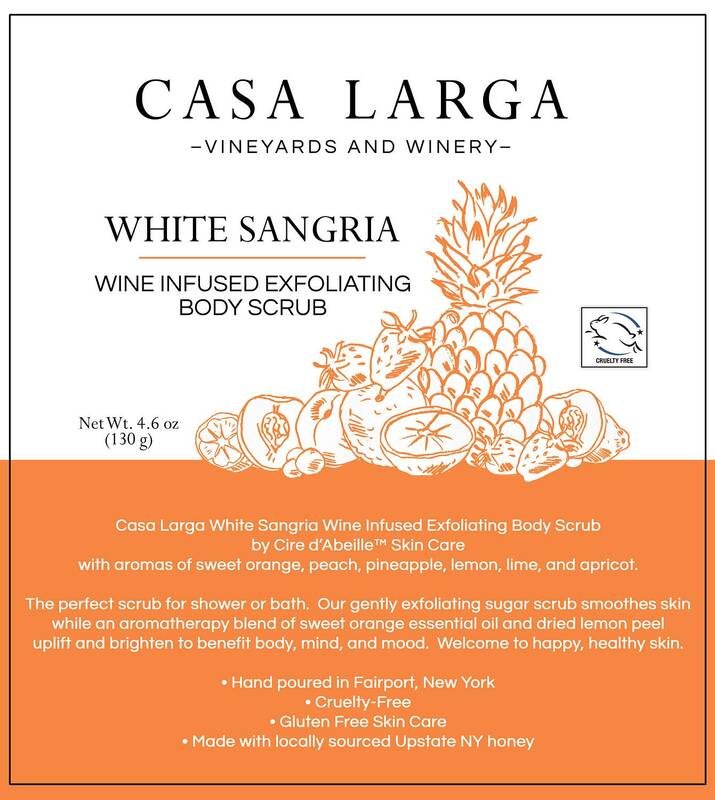 This sugar scrub is an emulsified sugar scrub making it like a lotion and exfoliating scrub all in one. 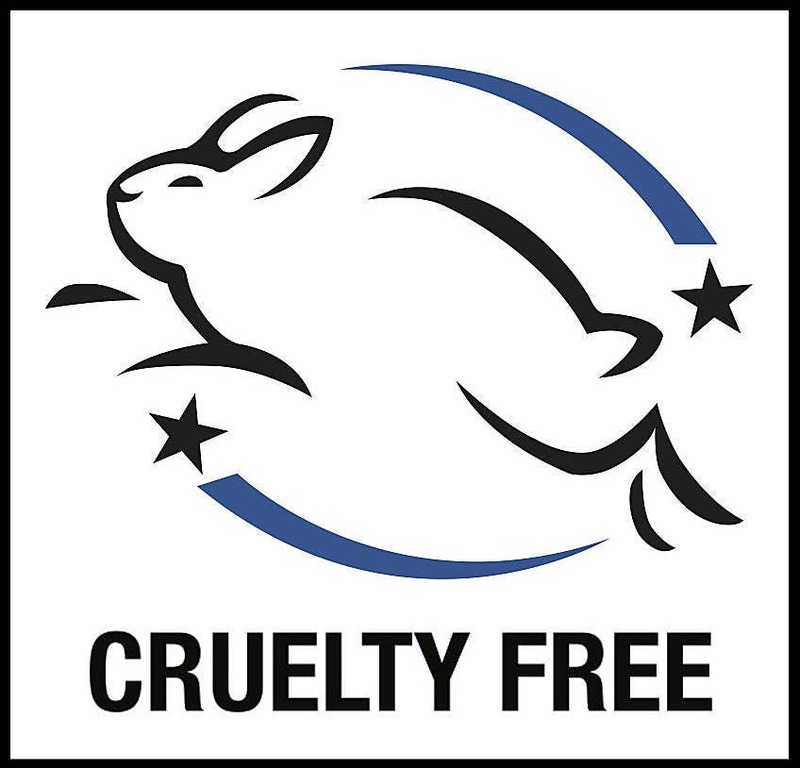 Ingredients: coconut oil, salt, sugar, castor oil, sweet almond oil, honey, wine reduction, Vitamin E, dried lemon peel, sodium lactate, Optiphen Plus, sweet orange essential oil, fragrance, guar gum. 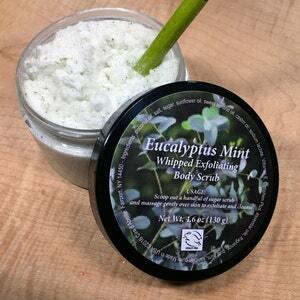 Scoop out a handful of sugar scrub, massage gently over skin to exfoliate and cleanse. Rinse.